Freight Broker or Freight Broker Agent…With or without experience…Training, Placement, & Consulting! We’ve been training and consulting successful freight brokers and freight broker agents for over 20 years. Here you’ll find information about becoming a freight broker or freight broker agent and how we can help you achieve your dreams. It’s not easy, but with our training you can be working in just a few short weeks. It doesn’t stop with the training though, after completion of training we’re here to help you on a personal level through our consulting, which is included with all of our training and consulting packages. For those that will be working as a freight broker agent, we can guarantee placement with a licensed freight broker after completion of training. As we consult freight brokerages across the country, we’re able to place you with one of our freight broker clients immediately! As They Build A Successful Freight Broker Business. In-depth training for working day-to-day as a freight broker. From getting a load through delivery. For those starting as a freight broker agent. 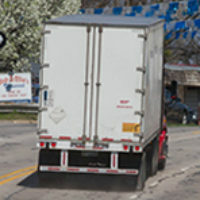 After training you will be placed with a licensed freight broker. Unlimited support while you build your business. We want you to be a successful freight broker! More often than not, we recommend starting as a freight broker agent. You won’t need a license, bond, UCR, or BOC-3. You won’t have the liability or overhead. You’re able to focus on building your business! Training & consulting designed for those that will be starting their own freight brokerage company. Training, placement, & consulting for freight broker agents contracted to an existing freight brokerage company. 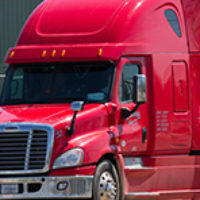 For freight brokers that are or will be operating as their own freight brokerage company. Complete the form on the right and one of our experienced consultants will contact you shortly. You may also contact us by calling (800) 582-4167. Please note that we are conducting training sessions, consult calls, conference calls and more throughout the day. Should you get our voice mail, please leave a message and we’ll return your call shortly.